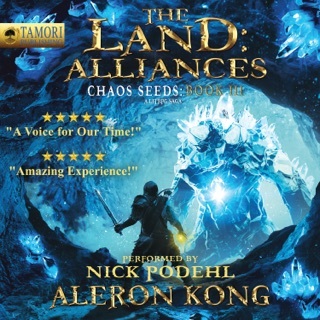 Welcome to The Land, Audible's 2018 Customer Favorite! Book 1 of a 7 Book series that will Amaze and Delight you for weeks! 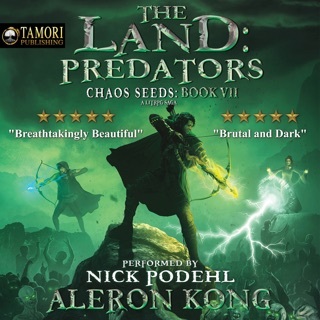 Tricked into a world of banished gods, demons, goblins, sprites and magic, Richter must learn to meet the perils of The Land and begin to forge his own kingdom. Actions have consequences across The Land, with powerful creatures and factions now hell-bent on Richter's destruction. 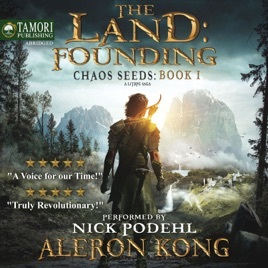 A tale to shake "The Land" itself, measuring 10/10 on the Richter scale, how will Richter's choices shape the future of The Land and all who reside in it? Can he grow his power to meet the deadliest of beings of the land? When choices are often a shade of grey, how will Richter ensure he does not become what he seeks to destroy? Please LIKE Aleron on FB. He also does almost weekly giveaways of shirts, signed books and other loot! Also, please contact Aleron. He LOVES hearing from people! 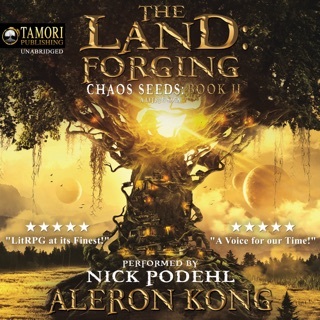 FB The Land Forum: facebook.com/groups/AleronKong - If you want to discuss The Land with other members of the Mist Village Mafia, join us! 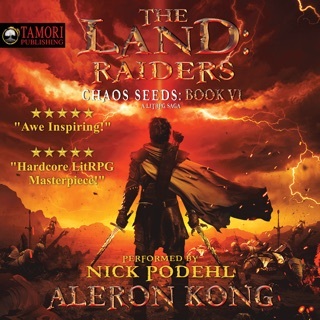 Patreon: patreon.com/AleronKong - I am an indie author, no publisher. If you’re like access to early chapters of unreleased books or even to have yourself written into the books, check out my patreon. Help me make more books! 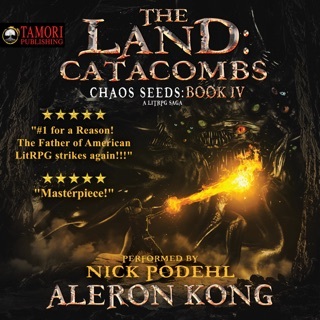 By far the best litrpg I have had the pleasure to listen too.. great for long road trips or when you just want to sit and listen... lots of exciting battles and interactions that will get your heart pumping and wanting for more.. 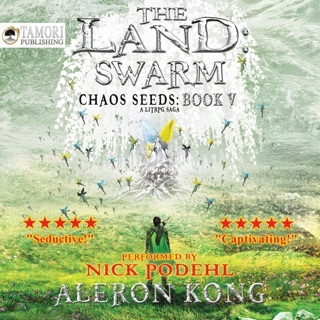 The Land series of audiobooks are fantatistic entertainmnet. Engaging, funny, suspenseful.